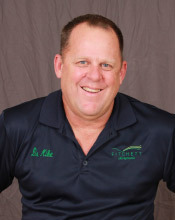 Dr. Mike graduated from chiropractic school in 1989 and immediately opened his office in Kennett Square, PA. Over the past 25+ years Dr. Mike has helped thousands of Southern Chester County residents get out of pain and move forward towards a happier, healthier lifestyle. Dr. Mike has a wonderful wife, Jacquie, and three great kids, Dr. Jenna, Tim, and Lucas. He trains in Brazilian Jiu-jitsu and often teaches Jiu-jitsu at a local martial arts school. On the days that he doesn’t train he likes to work out at the gym. Dr. Mike tries to maintain a nutritious and active lifestyle. He has found that if he maintains an overall healthy and physical attitude, the bad seems to even out with the good. On the weekends he enjoys cruising the Chesapeake and spending time with family and friends. Dr. Jenna joined her father in practice in 2006 after graduating from Palmer College of Chiropractic. In 2008 they opened their second location in West Grove. Dr. Jenna loves helping people realize they can live a pain free life, and has taken advanced seminars in the chiropractic care of pediatrics. Dr. Jenna met her husband, Charlie, in high school. Charlie runs a construction company with his father, and has built and completed all the renovations at both office locations. They have a son, Sam, and enjoy camping together and exploring new places during the summer. Dr. Jenna works out several times a week and enjoys running and riding horses in her free time. 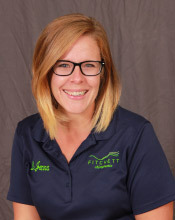 Dr. Curt grew up in central PA and joined the Fitchett Chiropractic team in 2016. 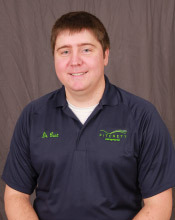 He graduated from Palmer College of Chiropractic and is excited to share his knowledge with his patients. At Palmer Dr. Curt was a clinical teacher’s assistant, which not only gave him extensive insight into patient care & treatment plans, but also gave him the opportunity to be a part of unique and unusual chiropractic cases. Dr. Curt has been with his fiancé, Ashley, for 5 years. He enjoys hunting, the outdoors, and (unfortunately!) the Pittsburgh Steelers. Thank you for visiting our site, and we look forward to meeting you. Please contact our office and we’ll be happy to help you reach your health goals!